As a younger mom, I would have LOVED to hear these words about parenting with grace from an older mom. If you’re discouraged and worried you’re messing up your kids, these words are for you! As a mom, I spent years oscillating between stressing that I wasn’t doing enough to train my children and obsessing over not having enjoyed them sufficiently. I was always doing the math. When they turned nine, I thought about how half of my time with them at home was over. When their sixth-grade year came to a close, I mulled over the end of the first half of their school years. I feared that I’d never get the mother thing right and they would leave my home remembering all the times I yelled or magnified a molehill into a mountain. There were days when they were little that I’d put them in bed at night and fall into the arms of my husband in tears, sobbing over all the ways I failed that day. I was a planner but that often worked against me, as I always had in writing the evidence of what I had NOT accomplished. Being intentional is good. 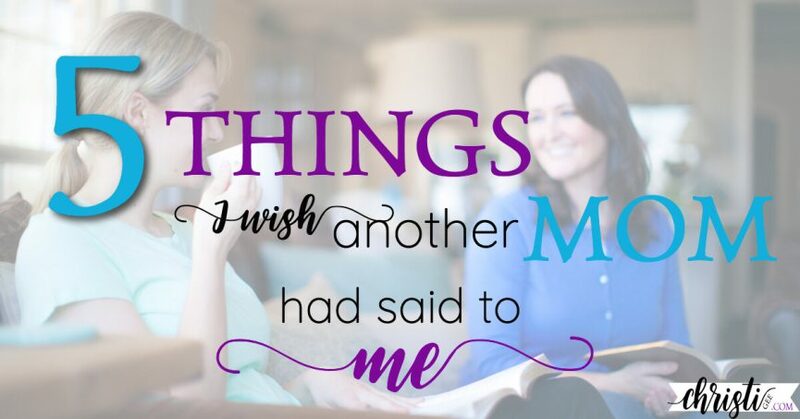 But stuffing the list full of unrealistic goals and plans almost paralyzed me as a mom. 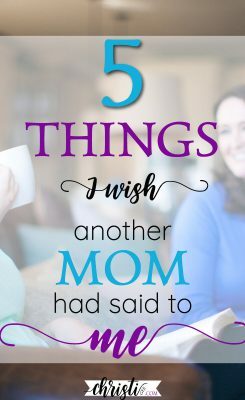 I thought about how much I would have loved to hear words from a mom who remembered what it felt like, but had gotten far enough down the path to assure me it would get better. So I wrote down a little of what I would’ve wanted to hear just in case there were other moms out there who could identify with this struggle. Here are five of the things about parenting with grace that would have been honey to my soul years ago. Time feels like your worst enemy. Every time you turn around, it seems your child is celebrating another birthday. You may even fear that disappointment and your downfalls will be their only takeaway when they reflect on their childhood. The majority of moms wrestle with some measure of these feelings. But here’s the secret of the sisterhood: You don’t have to get it perfect and it’s not all up to you. to develop character in His people. You’ve seen this in your children. Remember it applies to your parenting. I messed up a lot as a mom. But when my kids recount stories of their childhood, they remember moments when I got it right. Praise Jesus. And they make me feel like a much better mom than I ever imagined possible or believe is actually true. The hard stuff faded into the background. … fears that a decade of chronic illness would be the only thing they remembered. but I don’t “feel” about it like I did when I was experiencing it. And what’s more, the sweet parts emerged in the foreground, highlighted and emphasized. In hindsight, the precious times really DID outweigh the difficult moments and by God’s mercy, that’s the majority of what I remember. You may sometimes wonder how you are going to deal with high school graduation or sending them on to college or marrying them off to someone else when you still cry at movies of their childhood. I feared I might continually regret that I didn’t savor enough or document enough or be there enough or remember and reflect enough. But then the milestones happened. Two graduated high school and then college. One got married. There were tears. Sweet memories were resurrected. And I realized the regrets had dissolved and the fears disappeared. And now we talk and strategize together. They ask our advice, come to us with their pain, and seek us out to share in their joy. And I don’t mind that they aren’t still cuddly and cute. I can’t imagine how I’ll handle tomorrow because I don’t yet have tomorrow’s grace and perspective. I only have enough for today. The same is true for you — whatever stage of parenting you are in. Those who are concerned about doing it right are the ones who probably are most of the time. Yes. If there’s something you need to lay before God, then do it. Take it to Him daily and ask Him to help you improve in that area or resist the temptation. He.Is.Faithful to answer those prayers. But remember that perfection is not the goal — progressive sanctification is. And most progress is imperfect. Parenting with grace means you accept God’s grace for all your parenting imperfections. This I know: When you think it’s not supposed to be hard, it gets harder. And if you think you’re alone in the harder, that’s when it’s the hardest. So take heart. The fact that you know it’s hard indicates you’re taking it seriously. Biblical parenting is kingdom work, so you are up against the kingdom’s enemies. If it feels like you are always fighting a battle, it’s because you are. Recognize that the most strategic battlefield is in your own mind. The enemy knows that if he can undermine your confidence, he will thwart your efforts. You must remember that you are never alone in this fight. With God on your side, you are never outnumbered. Those children are His and so are you. He will empower you to hold your ground and when you’ve done all else, to stand. And one last thing. Those of us on the other side are rooting for you and standing with you. 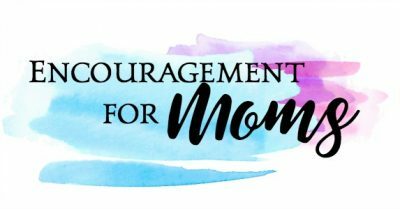 Encouragement for moms can be hard to find. You’ll be reminded why everything you do matters for God and for your family. Christi – I never comment… but this piece so eloquently speaks to the heartwrenching struggles of my momma-heart. Thank you for sharing your wisdom, your grace for those of us further back on the trail, battling in the weeds,… I particularly grasp hold of these words…”remember that perfection is not the goal — progressive sanctification is. And most progress is imperfect.” Progressive sanctification. Yes!!! 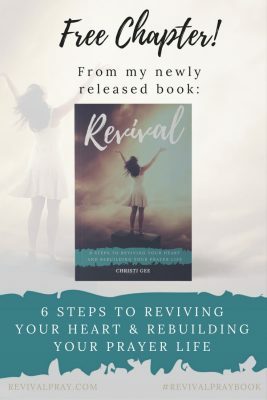 Thank you…for resuscitating my hope for my parenting, via God’s gracious provisions. Well, thank you for taking the time to let me know this encouraged you! Hang in there! Thanks for letting me know this helped. I know this is an older post, but I have now read it twice – once when I was a brand new mom and now again as I embark on being a SAHM with my 2 year old. These words speak to me SO much. Thank you for putting them all in one place for me to reflect back on. They REALLY help! Thank you for letting me know. Hang I there sister! This is kingdom work. This is such an encouraging post. Your incredibly accurate description …. “years oscillating between stressing that I wasn’t doing enough to train my children and obsessing over not having enjoyed them sufficiently. ” …was so spot on that I was sucked into your post and nearly gripping my seat for the ride. Every word thereafter was like you were talking directly to me. If day doesn’t go by thinking my gosh will they escape as far and as fast as they can at 18 for all my shortcomings. For people who are used to doing most things in their life well, you sure get a wake up call with children. I truly needed to hear all five of these. Being a stay-at-home home schooling mom to a 14, 10 and 8 as well as round the clock caregiver to my grandmother is hard in a way no one I know personally understands. My husband is my biggest cheerleader, but his job takes him away more than 12 hours a day. It’s amazing how many people see my job as “well at least you get to stay home all day”. Talk about needing strength at those moments. I can’t wait to share your post and to read it again. I may have to print it so I can put it where it will continually “find me” when I need it most. What a comfort. I hear you, sister! Isn’t it funny how we all struggle with the same thoughts? Thank you for your kind description of how this post impacted you. It’s why I write … so others know they aren’t alone. I am humbled that you think it’s worth passing along. Thank you. Excellent post. Looking back, while I am still in the midst of raising littles but have married children too, I see everything you stated here. I am further down the trail. I have been there, I am still there….I am still learning….A Lot! I did not have the grace that time in the restaurant with only five small children acting out of control where I swore I would never, ever go out my front door with them all again. I am a bit better at taking my 8 at home still out everywhere, because of His daily portion of grace. It is h.a.r.d. and you do feel a.l.o.n.e. at times, that part is so true! 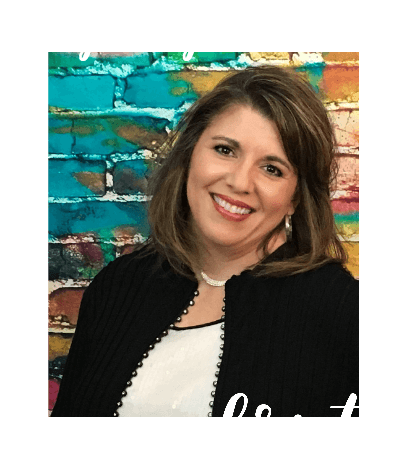 And I am different now than a decade ago when, while in the midst of a 2nd trimester miscarriage, we were graduating our first child from homeschool. I thought I would die of loneliness while I still had a house Full of people! I stepped up to the Gates of Splendor and begged God for His mercy and grace, when he freely gave it to me and healed all my brokenness and loneliness….He is so great! Thank you so much for sharing. I blog to share where I have already been….there in the target aisle with you…if you should ever want to visit. What wisdom you have gained, albeit the hard way for some of it! Thank you for sharing all these thoughts and testifying to God’s mercy and grace. I look forward to visiting your place soon. You are so right-I don’t have tomorrow’s grace and perspective. I needed this as my girls go back to school Monday. There can be so much introspection for me every year that is not healthy! You nailed it on the introspection! #guilty :) So glad there was something here that offered your mama heart a little comfort. Thanks for letting me know!